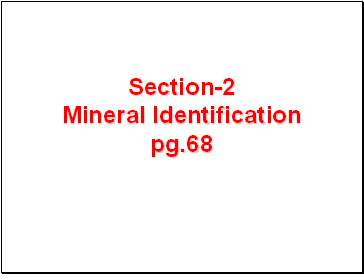 Describe physical properties used to identify minerals. 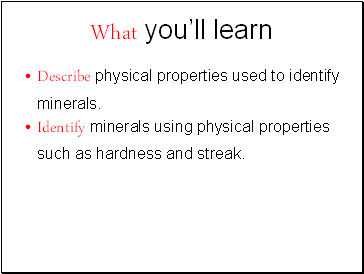 Identify minerals using physical properties such as hardness and streak. Which one of the following is gold? Identify by appearance. 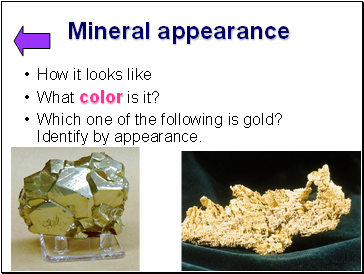 1 Softest known mineral. It flakes easily when scratched by a fingernail. 2 A fingernail can easily scratch it. 3 A fingernail cannot scratch it, but a copper penny can. 4 A steel knife can easily scratch it. 5 A steel knife can scratch it. 6 Cannot be scratched by a steel knife, but it can scratch window glass. 7 Can scratch steel and hard glass easily. 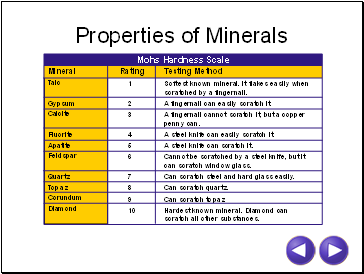 10 Hardest known mineral. 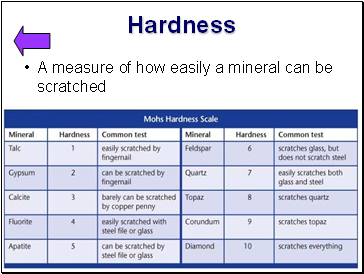 Diamond can scratch all other substances. 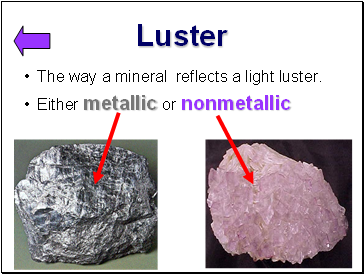 The way a mineral reflects a light luster. 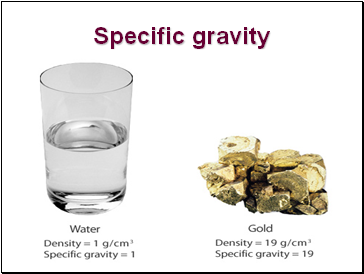 The specific gravity of a mineral is the ration of its weight compared with the weight of an equal volume of water. 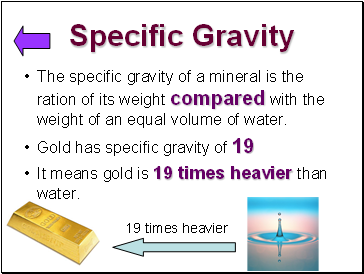 It means gold is 19 times heavier than water. 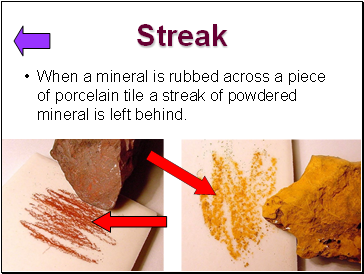 When a mineral is rubbed across a piece of porcelain tile a streak of powdered mineral is left behind. 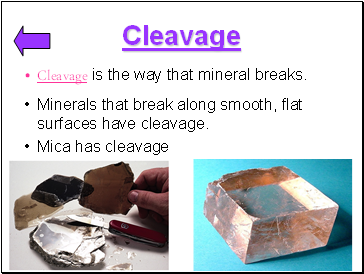 Cleavage is the way that mineral breaks. 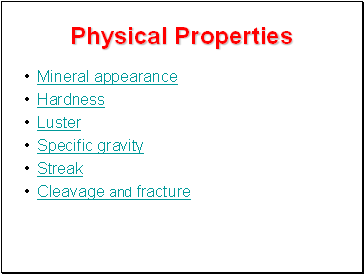 Minerals that break along smooth, flat surfaces have cleavage.